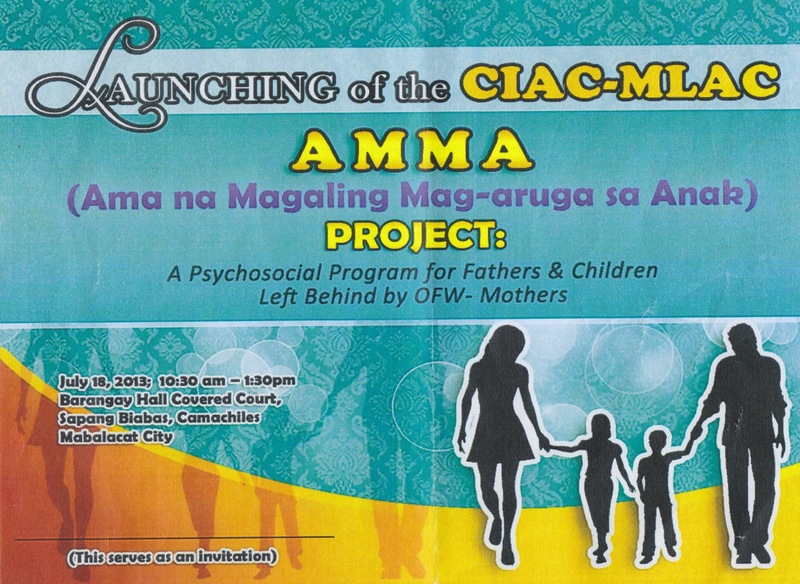 Last July 18, 2013, MLAC Psychosocial Services for Well-Being, in cooperation with CIAC (Clark International Airport Corp.), launched the AMMA project, a psychosocial program for fathers and children left behind by OFW mothers, in Mabalacat City. AMMA stands for Ama na Magaling Mag-Aruga sa Anak. This event was attended by Guest of Honor Senator Grace Poe. Click on the title above (in blue font) to read the article from the Philippine Daily Inquirer.